Perfectly timed to provide a Caribbean reprieve from a harsh winter comes another time capsule from Toronto’s hidden history of soul and reggae music. 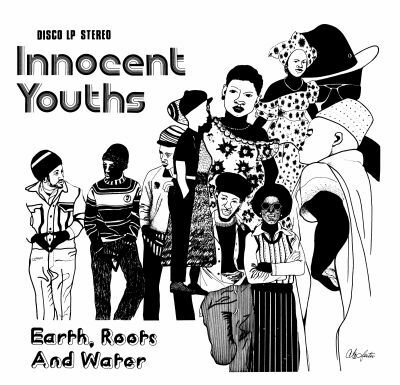 Innocent Youths, a hard-to-find 1977 reggae album by Earth, Roots and Water, is the latest album reissued by Light in the Attic Records in its Jamaica to Toronto series, which unearths the unjustifiably over-looked musical contributions of the city’s Caribbean immigrants over the years. Originally formed as the house band for producer Jerry Brown’s Malton-based Summer Records—itself the subject of a compilation released in 2007—Earth, Roots and Water had a revolving membership, but centered on Adrian “Homer” Miller (vocals), Anthony “Base” Hibbert (bass), Colin “Zuba” Suban (drums), Matt Shelley (guitar), and Tony “KB” Moore (keyboards). As the label’s reputation spread, the Summer Records studio—a makeshift setup in Brown’s basement—became a musical mecca for local musicians and the leading artists from the Caribbean. As a result, Earth, Roots and Water provided backing instrumentation for smoke-fueled sessions with Jamaican stars like Johnny Osbourne, Jackie Mittoo, Willi Williams, Leroy Sibbles, and Stranger Cole. At home in Toronto, the band were an energetic and charismatic live act, and introduced the local punk scene to reggae through gigs opening for The Police and The Stranglers. 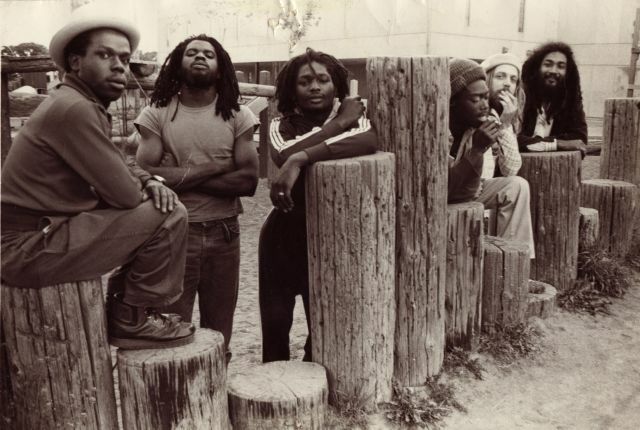 Despite positive local media coverage upon its original release, the album received little commercial radio airplay, and even West Indian audiences preferred the “real” Kingston recordings. Sales were disappointing. A follow-up album never materialized and the group members eventually drifted along separate paths. The deluxe reissue treatment given to Innocent Youths, which includes extensive liner notes, certainly does justice to a rare and under-appreciated Toronto classic. Images courtesy of Light in the Attic Records.